After a significant period of time of not hiring new controllers leading up to the mid 60’s, the FAA began to hire once again. The difference this time was the type of former military controller entering the work force had changed considerably. The attitudes, influenced by the Vietnam War, the ongoing demonstrations and unrest of the times and an overall feeling that things need to change, made for a group of new hires who were not so willing to settle for business as usual. 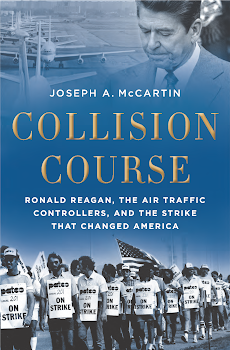 They expected and were willing to fight for the right to be treated in a fair and respectful manner and were willing to risk whatever was necessary to change the way government managers and supervisors ruled the world of air traffic control. In 1968, a few of these new kids on the block decided the FAA way of doing business needs to change and took the courageous first steps to organize the Air Traffic Controllers, a step the FAA never saw coming. The organization grew quickly and from 1968 to 1981 changes took place within the FAA that most insiders had viewed as impossible. In 1981 Ronald Reagan, thinking he had put an end to union organization within the FAA forever, fired this group and destroyed PATCO. The FAA immediately reverted to their old ways and in only a few short years the controllers organized once again with the formation of the National Air Traffic Controllers Association (NATCA). Proving once and for all that without a union the FAA cannot be trusted to what is right! The 60’s were a time of revolt, demonstrations, riots, war and a time when workers decided that private or public sector, they had a right to be treated fairly and they were going to do what was necessary to see that happen. Thinking back to those times, it was predictable that in happened then. I was 24 years old when I joined PATCO in 1968 and remain proud as hell of that decision to this day! These people are professionals, but I am deeply opposed to unions the work force needs to be independent not union based.